During the summer of 2009, we responded to an ad for the sale of research beef calves from the Oregon State University Beef Farm. The person in charge described three calves in particular that may be of interest. 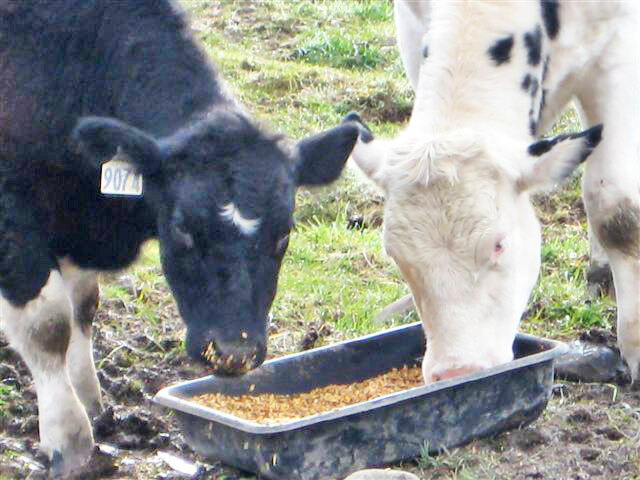 One steer and a heifer had been underweight and started out not in the best of health. The two classified as “thrifty” were selected to receive multiple injections in their necks and rump areas. The painful shots were not given to benefit them but merely to show the veterinary students the damage they had caused to the flesh of the various cuts of meat when they were slaughtered. This teaching tool was designed to increase the vet students’ knowledge which they could then pass on to livestock owners. This procedure is certainly not unique to OSU but common throughout state agricultural universities. For some unexplained reason, both calves who grew up together and were inseparable had not been slaughtered. However, we learned their lives would soon end. Upon further inquiry of the two in September, we were told they had reached slaughter weight with the male weighing 1,000 pounds and the female 800 lbs. If we were to purchase either one or both we would be given a slight discount since they couldn’t be sold at a livestock auction as an unsuspecting buyer could later complain when he saw all the bruising to the meat when they were slaughtered. Oregon State believed it could reflect poorly on the way they were vaccinated. The problem we faced was a big financial decision since the cost with the discount would be around 97 cents a pound. We deeply wanted to rescue both and thought how satisfying it would be to let them live out their individual lives, free from the painful exploitation, free to be around those who cared and who would marvel at their immense presence. 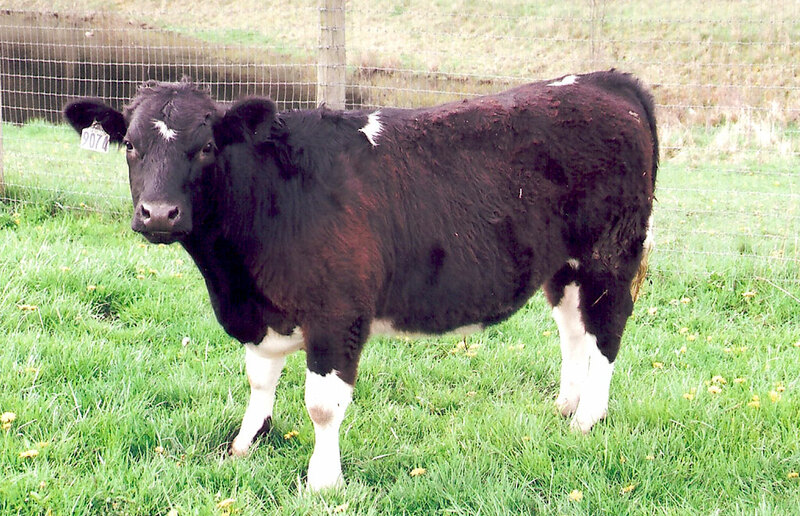 The third described candidate was a young steer born on February 3, 2009, that was slightly smaller than the rest of the herd of 40. The calf’s mother had been slaughtered due to “bad udders” and at two months vet students had performed a hernia operation on him as well as castration. The person-in-charge said if we didn’t take him he would be a good project for a 4H student to “finish” and slaughter in late fall. On October 1, 2009, Gordon Peterson, volunteer, and I headed for Corvallis, Oregon, pulling our small horse trailer to rescue two of the above described individuals. Upon arrival, we viewed all three subjects. The two were tall, beautiful large Black Angus cows standing in a pen as close as possible to each other. The person-in-charge inspected our horse trailer and regrettably informed us it would be unsafe to haul either one of the Angus cows. She remarked that their size and weight could overturn the trailer. She further stated a private party who happened to be on site was interested in buying them for slaughter and was aware of the bruising to the meat. From that point on, we never could look at them again, knowing we couldn’t save either one. At noon they sat down by the roadside, near a little brook, and Dorothy opened her basket and got out some bread. She offered a piece to the Scarecrow, but he refused. She offered a piece to the Scarecrow, but he refused. Dorothy saw at once that this was true, so she only nodded and went on eating her bread. orothy saw at once that this was true, so she only nodded and went on eating her bread. orothy saw at once that this was true, so she only nodded and went on eating her bread. “Tell me something about yourself and the country you came from,” said the Scarecrow, when she had finished her dinner. So she told him all about Kansas, and how gray everything was there, and how the cyclone had carried her to this queer Land of Oz. 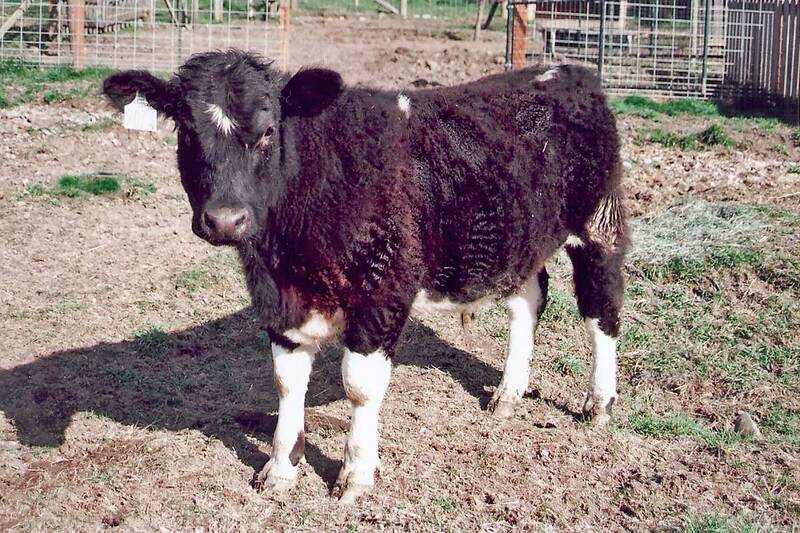 Now, we could only make a difference in the life of one small steer in an open field with forty others the same age (9 months) and close in weight. As we observed the herd, each one had a coat of a beautiful unique design of every shade of browns, blacks, interlaced with white. It was easy to see why their skins were taken from them to make western garments, clothing and furniture. We kneeled down in the open field devoid of any trees or cover which was home to the herd. All forty calves circled around us and continued to move closer as we talked to them in reassuring voices. The barrier between us and the herd broke and we could almost touch them. This was unexpected given their almost total detachment from humans other than many negative experiences. They all had been herded into a squeeze chute to be weighed, re-weighed, vaccinated, dehorned, castrated, pierced for ear tags, along with incidental bruising from the procedures. Despite all of this, they remained innocently curious about our outpouring of affection toward them which would never again be repeated. The one steer we would be taking remained on the outer circle, identified only by his ear tag number 9074. He had a deep brown, thick coat with white on all four legs. He was separated and herded into a squeeze chute to be weighed (495 lbs. ), paid for and loaded into our horse trailer next to the opening of the chute. We asked about the future of the herd and were saddened to learn the next day would be their last at the beef farm. They were to receive shots to combat respiratory illnesses, loaded onto cattle carriers and transported to a Moses Lake feed lot. There they will spend the rest of their days exposed to all kinds of extreme weather without cover with thousands of cattle all crowded together in ankle deep mud and manure. By April of this year, they will have reached slaughter weight and face a terrifying young death. We drove out and looked back at the herd for the last time knowing only one would live a life free to roam, graze, seek out trees, creeks and be with other of their own species of all ages. Upon arrival, 9074 was tired and stressed as we put him into a fenced apple orchard covered with fallen apples. Casper, the dairy calf who had never seen another cow, was enclosed next to him. After a night of sniffing noses through a fence, they were put in together and are now inseparable. It has been difficult to name 9074, but we decided on Tiny since he is the smallest of all the livestock. The acquisition of Tiny is no different than rescuing a homeless, unloved dog. Tiny is learning that he is wanted and valued and continues to reveal more of his individuality. He now knows he has a life of his own and eagerly shares it with Casper. Because of his past, he associates the human hand with pain and will not allow anyone to touch him. He will, however, touch his wet nose to the face of those he trusts. It is unlikely this will ever change.